If you are fed up because, any new software installation takes up all the default program file association. Then this trick will be an amazing solution to your minute but a crucial problem. You might have experienced on Windows that, whenever we install a new software app, it automatically takes up all the files in the default program file association. Majority of you might have seen such problems in case of multiple browser or media player. For an instance, when you install the music application like Winamp on your Windows, then by default all the .MP3 files will play on Winamp and will not be directed to Windows Media players. Well the issue here is that, in Windows the File Extension association automatically gets over ridden when you install a new software application. There are some good programs which prompt the user and give them the option to get the application as the default launcher, but majority of the apps do not support this case. You might have seen that, when you have installed Chrome on your Windows, it might have given you the dialog like ‘’Do you want the Chrome to be your default Browser’. Products like Chrome and all are the products with high user experience and they offer various kinds of features for users ease but there are many third-party apps which do not. Well that’s not an issue and there are many alternatives which you can opt to get rid off from the file extension association problem. Let me brief you about some of them and see how they help you in setting the default programs for the file extension association in Windows. 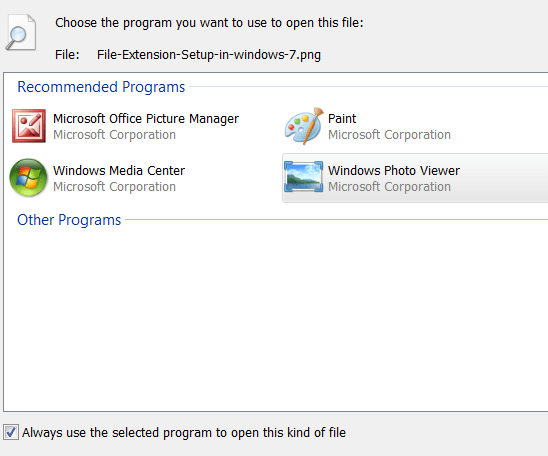 Well this is supposed to be the easiest trick you can do to set default program for file extension association. Open the Control panel, select the option of programs. There you will find the option to set the default program. For better illustration have a look to the image below. 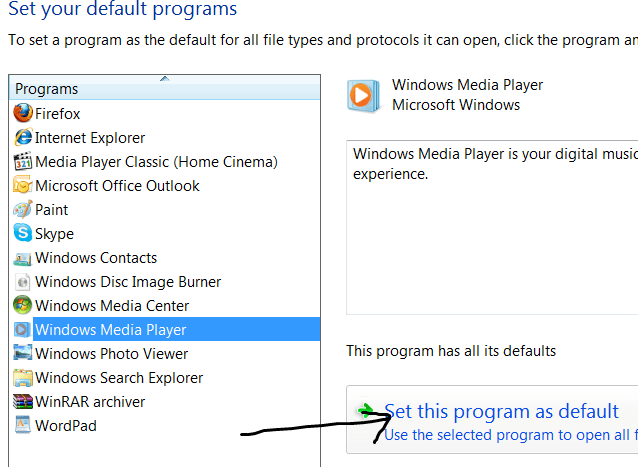 On clicking the option of set default program, you will be catered with the list of software installed. Just select the program you want to set as the default. You can also perform the file extension association by simply clicking the right button of your mouse and then select the open with menu item and choose the default program. That’s it; with these simple methods you can easily set the default program or app which should launch your files. So, let us know, if you have any issue in opting the published method or have any other related issue. We will surely address you problem at the earliest. Nokia's Snake Game Comes Back To Life Thanks Windows Phone App ! How to Backup The Windows 10 Without Reinstalling The Operating System?